Baron Hill Golf Club is located on the outskirts of the idyllic town of Beaumaris on the Isle of Anglesey in North Wales. Beaumaris is a major tourist destination & Baron Hill is in a beautiful location with views over the town, the Snowdonia Mountain range & the Great Orme in Llandudno. 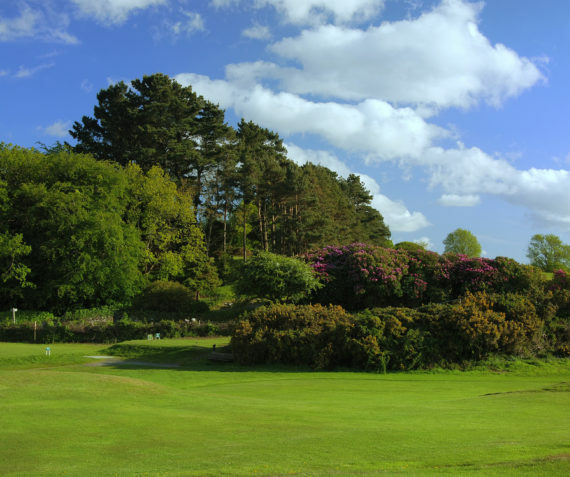 This nine-hole heathland course with its true, fast sloping greens is challenging and provides a good golfing experience, why not book a round then explore the historic town. If you only have 2 hours for a quick nine holes of golf why not book a tee-time & play one of the oldest privately owned golf courses in the UK with history dating back to the 1880's. Golfers of different abilities are made very welcome and a wide range of opportunities are available to participate in club competitions, inter-club competitions and social golf. Annual events are also organised in support of 'Identified Charities'. Social functions where members may bring friends and family are held on a monthly basis as well as an Annual Dinner Dance. The strength of Baron Hill Golf is the camaraderie between members and the support they provide in terms of voluntary help in getting jobs done.